Chiffon is a lightweight plain-woven fabric with mesh like weave that gives it transparent appearance. The word Chiffon has a French origin which means a cloth. It is primarily made from cotton, silk or synthetic fibers like nylon, rayon and polyester. Chiffon is most commonly used to weave Sarees, Dresses and Scarves. The fabric was made exclusively with Silk until Nylon was invented in 1938. 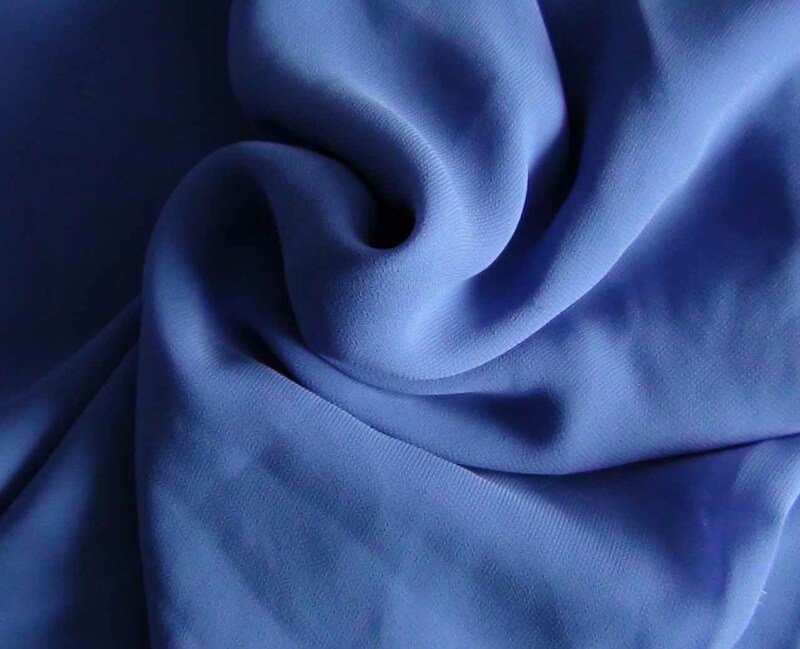 After the introduction of Polyester fabric in 1958, the polyester chiffon blend became more popular because of its durability and economic viability. It is a plain balanced weave where similar weighted weft and warp threads are used on the loom for manufacturing. The criss-cross pattern weave which is generally used for Chiffon, gives the fabric a checkered, mesh like effect. The yarns used in weaving the fabric are alternately twisted which results in the slight crumpling of fabric in different directions. It is a difficult fabric to work with as it has a slippery texture. While cutting or sewing the fabric, weavers place the non-slippery surface above to get the stitch perfect. For this purpose, tailors layer paper on both sides of the fabric which helps in keeping the fabric together during the sewing or stitching process. The rough surface of the paper holds the fabric in place. After the completion of the sewing process, papers are carefully ripped out. It is made from silk is the most popular variant of the fabric. The shimmer texture of silk fabric makes the Chiffon look more appealing. Though it is lightweight, the fabric has considerable strength. Due to its manufacturing from natural silk fiber, it is a more expensive than the synthetic Chiffon. Synthetic materials like nylon and polyester are most commonly used to make this fabric. These materials can be easily dyed into different colors. The synthetic Chiffon is also economical and sturdier than its silk variant. In the form of Saree, the fabric adds shimmer and texture to the overall appearance. This fabric is also used to create Kurtis, Salwar Kameez, Scarves, Belts, and accents. The use of this fabric in layering an attire can be seen aplenty. It adds volume to a garment and is often used as the base fabric for embroideries and appliques. This sheer fabric is also used to manufacture home furnishing products such as embellished sofa covers and curtains. 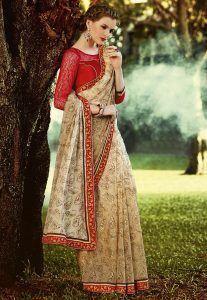 The evolving fashion in Bollywood has led to the popularity of the fabric. Bollywood cinema has long been a patron of Chiffon. The flowy Dupattas and the beautiful sarees and Salwar Kameez has been an integral part of Bollywood’s fashion for decades. It has been a favorite among the yesteryear divas like Rekha and Hema Malini to the current beauties Deepika Padukone and Katrina Kaif. Chiffon outfits should preferably be hand-washed or slow machine washed with extra care so that the fabric does not get frayed. It is advisable not to wash these outfits with any other clothes especially in the first few wash cycles as it may bleed color. Also, the duration of wash cycle should be kept short as this fabric starts loosing color if kept in water for a longer duration.